Free Windows software for learning foreign languages. Download the best freeware to learn French, Spanish, Chinese, German, Swedish and more. OpenTeacher allows language teachers to develop customized vocabulary tests for students. The application is very easy to set up and use, and the tests themselves exist as individual files. So, once a teacher has created and saved a language vocabulary words test, the teacher can then distribute the file to all students to take the test. If you or your child need to remember information for an upcoming test or exam, the free Memory Lifter automated flash card system may be the answer. Memory Lifter is a free flash card program that presents flash cards using various sensory outputs and using a special display technique that enhances a student's ability to remember. WordWeb is a free tool that you can install on any of your home computers or your laptop, and it provides you with a powerful tool for looking up words, finding synonyms and more. Best of all, WordWeb can handle a number of different languages, which is more than many paid dictionaries offer. Anki is a free spaced repetition flashcard program similar to SuperMemo available for several operating systems: Windows, Mac OS, Edubuntu and Fedora. Do you want to learn basic vocabulary in a new language, for free? 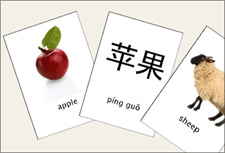 On byki.com, you can download a free flashcard program, Byki 4 Express for Windows or Mac, that lets you learn words in multitude of languages. Teach 2000 is a vocabulary trainer that helps you memorize words in foreign languages, using multiple-chioce questions and flashcards. Images and speech can be associated with each word. Selingua is a vocabulary training program with extensive built-in dictionaries -- more than 2000 words in each of the following languages: English (both American and British), German, Spanish, French and Swedish. Play a Tetris-style game and learn French, German, Spanish or Swedish! Selingua Columns is similar to the Tetris-like game Columns, but uses words instead of colors. Pieces fall down from the top - you rotate the pieces and try to match words that mean the same thing. Three different skins are included. The following five free websites are a great place to start if you would like to add French to your repertoire of languages. The following are five of the best websites on the Internet that are the most useful for either exposing your kids to the Mandarin language, or for supplementing Mandarin lessons.